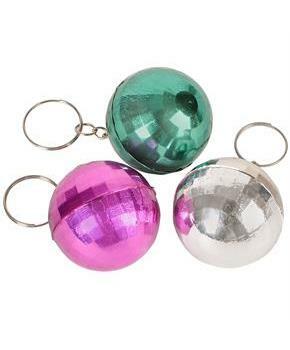 Includes: (12) assorted color keychains, our choice please. Disco ball measures 1.5". 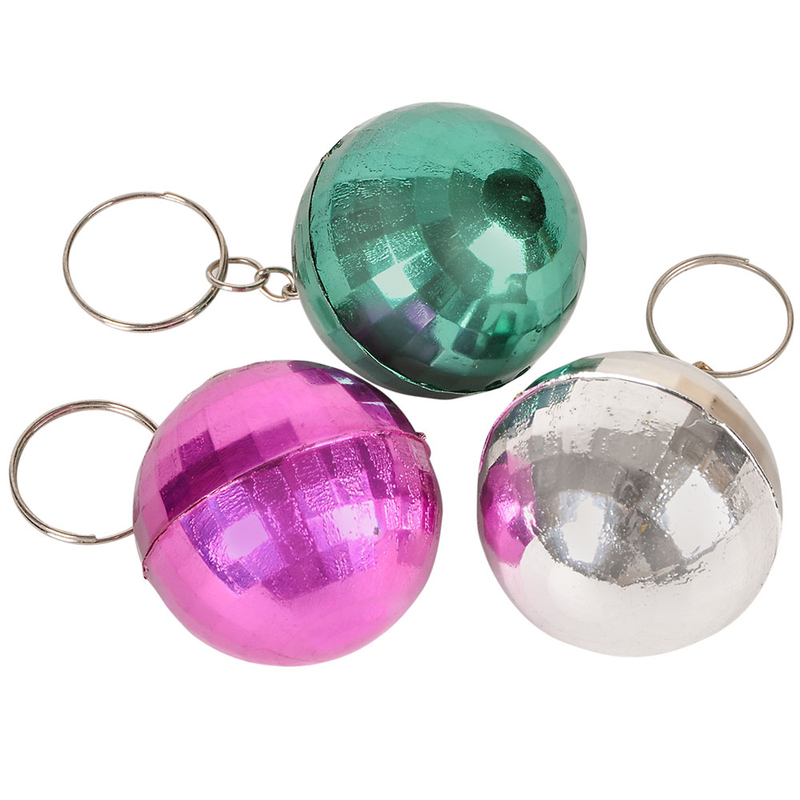 Keychain with discoball measures 4"L.
*Please note: due to a style change by the manufacturer these are assorted colors and not just the silver as pictured. Includes: (8) assorted color keychains, our choice please.